Successful businesses stay on top of what their competitors are doing. 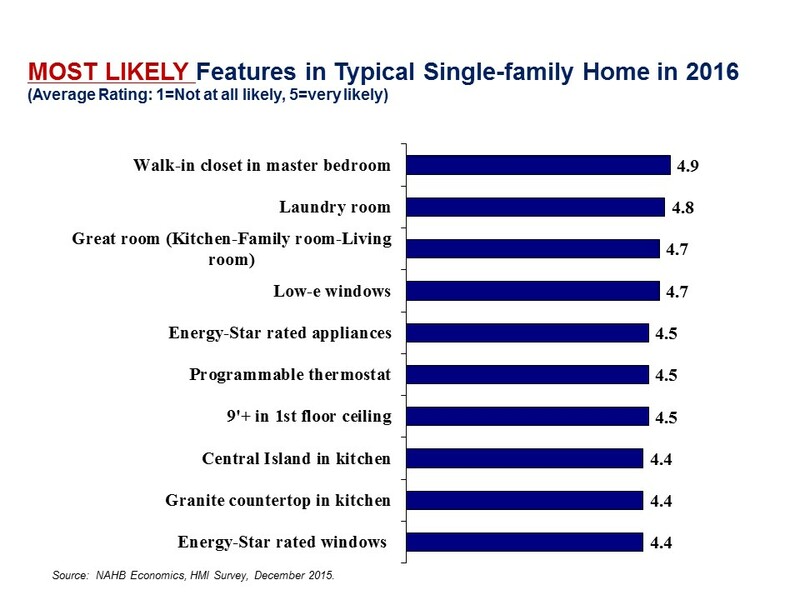 For home builders, this involves knowing what features other builders are putting in their new homes. 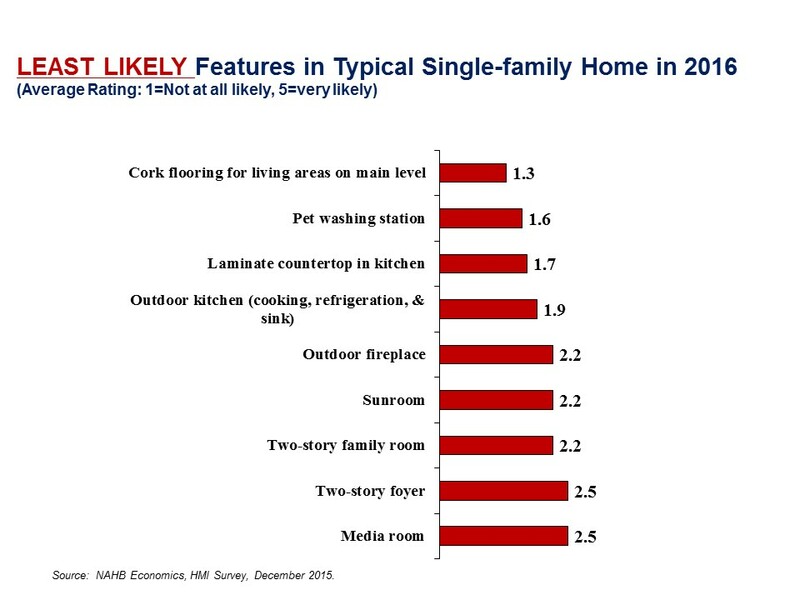 In December 2015, a nationwide survey asked builders about the likelihood that a number of features would be included in the typical single-family home they will build in 2016. Several features that help owners with energy conservation are also very likely to be included in new homes built this year: low-e windows, ENERGY STAR® appliances and windows, and a programmable thermostat. Other likely candidates: 9’+ ceilings in the first floor, a central island and granite countertops in the kitchen. Two-story spaces (family room and foyer) also seem to be unlikely features, as well as an outdoor fireplace, a sunroom and a media room. In our area of Western North Carolina (Highlands/Cashiers area) we see the biggest request from home buyers is the Open Floor Plan. Buyers also want a large deck and garage. Different regions have different requirements. Living in the mountains, buyers want a deck to view and entertain guests. Decks with a fireplace are more attractive as the evenings can be cool in the mountains, where homes in Florida do not want a fireplace on the deck. Maybe all they want is a yard with no deck. It would be interesting to see this broken down by geographical region. People will be disappointed to find out they don’t get a tax credit for energy star rated windows when installed in new construction.